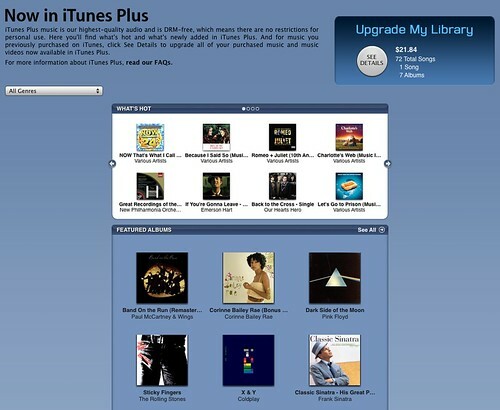 For help getting set up with "iTunes Plus" (giving you access to buying/upgrading EMI's DRM-free tracks), don't miss this handy helper from MacUser. The DRM-free features are being billed as “iTunes Plus”: in order to turn it on, you have to click on your account name in the top right corner of the iTunes store. You’ll be prompted for your password, and then brought to the account information page. The top button on that page now reads “Manage iTunes Plus.” Clicking on that will let you choose whether or not iTunes will show you DRM-free tracks when available. Click the checkbox and hit “Save Changes” and you’re ready to rock.